Here it is. The Best Calendar of Events, Parties, and Live Music in Breckenridge! Check out parties, live music, theatre, and performances at these Featured Partners: Bangkok Happy Bowl Thai Bistro and Sushi Bar, Blue Stag Saloon, Backstage Theater, Gold Pan Saloon, Motherloaded Tavern, The Historic Brown, and Tiki Mana Island Grill. Join us as we screen Oscar Nominated ANIMATION SHORTS at The Breckenridge Backstage Theater. 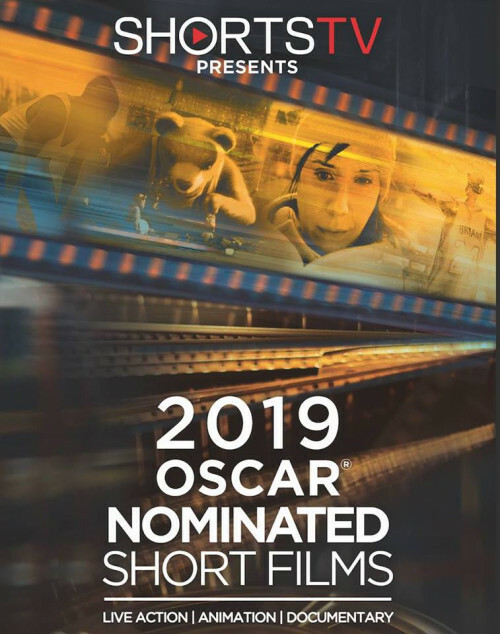 For the 14th consecutive year, ShortsTV US and Magnolia Pictures present the Oscar-Nominated Short Films – this is your annual chance to predict the winners (and have the edge in your Oscar pool)! A perennial hit with audiences around the the world, don’t miss this year’s selection of shorts. The Academy Awards take place Sunday, Feb. 24th. *You may also call the Breck Create Ticket Office at 970-547-3100 to buy tickets. Advance seat reservation is highly recommended as space is limited!. Doors open @ 6:30pm, show at 7pm Breckenridge Backstage Theatre. Summit Film Society is presented year-round with support from Kaiser Permanente Colorado, The Summit Foundation, Colorado Creative Industries, Alpine Bank and The Hearthstone Restaurant. Use this page to find the Best Parties, Events, and Live Music in Breckenridge, Colorado. Singers, Songwriters, Rock, Bluegrass, Folk, Country, Jazz, Blues, Funk, Punk, Jam Bands, Reggae, Electronic, Hip Hop, 80s Nights, 90s Music, Cover Bands, DJs, Live Band Karaoke and more genres of Live Music in Breckenridge, Colorado. Our Breckenridge Live Music Calendar features live music at Motherloaded Tavern, Blue Stag Saloon, The Fox Den at The Historic Brown, Bangkok Happy Bowl, Blue River Bistro, Cecilia’s Nightclub, Liquid Lounge, Napper Tandy’s, Burke and Rileys Irish Pub, Jake’s Dive Bar, Coppertop Bar at Beaver Run Resort, Brooklyn’s Tavern and Broken Compass Brewing. Enjoy live music at Breckenridge Ski Resort, find aprés-ski live music in Breckenridge and party all night in Breck and dance the night away with bands and DJs all over town. Bookmark this page, mark your calendars and NEVER MISS ANOTHER SHOW AGAIN! Rock out with your favorite bands and DJs including El Paso Lasso, TLoop, 2Dudez, DJ Cyn, The Frisco Funk Collective, James West, Joe Teichman, Mark Schlaefer, The Jerry Weiss Trio, DJ NME and DJ Stavros. Also find all the best parties and events in Breck! Celebrate Dew Tour, Ullr Fest, International Snow Sculpture Championships, Mardi Gras, Breck Pride, Breckenridge Oktoberfest, and more.